Rajma (or Red Kidney Beans) is a popular bean variety rich in protein, fiber, iron and other essential nutrients. Here is a simple evening snack that you can enjoy throughout the year. 1. Pressure cook the rajma with little salt until tender. 3. Fry the mustard seeds, curry leaves, ginger, green chillies, coconut and carrot for a minute. 4. Add cumin powder and cooked rajma. 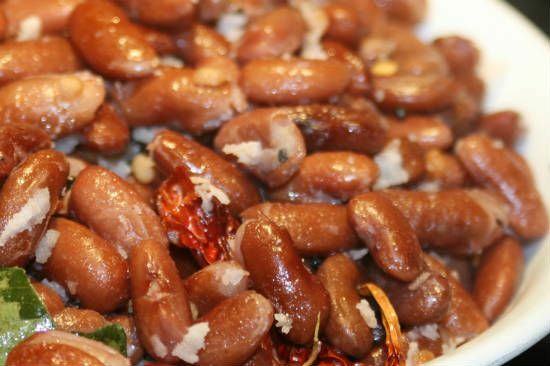 Feel free to comment or share your thoughts on this Rajma Sundal Recipe from Awesome Cuisine.